This post originally appeared on InHerSight.com. 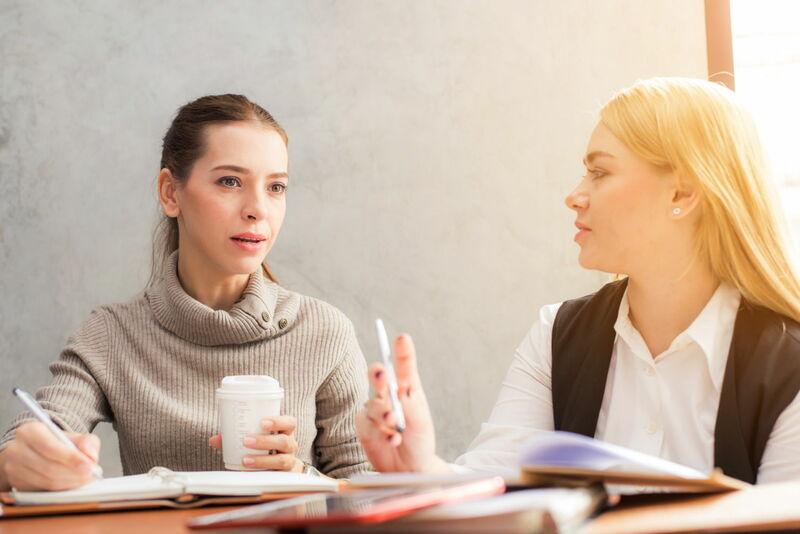 Navigating your career is hard enough, but according to a recent study released by Lean In, finding a mentor to guide you through the process today is a lot more complicated than it used to be. The nonprofit partnered with SurveyMonkey to ask men and women how they’re feeling in the wake of widespread reports of workplace sexual harassment. Lean In found that the percentage of male managers uncomfortable working alone with women has more than doubled since before the allegations began and that about one in six male managers may now hesitate to mentor a woman. So what should you do if you’re looking for career advice from someone at the top? Here are four mentoring routes to take if your office is on the defense. Let’s start with the obvious: If male managers don’t feel comfortable mentoring you, reach out to a woman you admire. Besides embodying your #CareerGoals, she’s likely to have experienced similar setbacks in the workforce—including this mentoring road block. However, given that only 24 of the Fortune 500 companies had female chief executives in 2018 and management often reflects stats like these, your options or her time might be limited. Do your research about who and what you want from a mentor first, then reach out. There are a lot of ways to tout your strengths—speaking up in meetings, establishing a personal social media brand, being passionate about the work you do, the list goes on. Showing up speaks to your growth potential, and often good managers, male or female, will gravitate toward you. The added bonus of an organic mentorship? You likely won’t have to deal with anyone who’s intimidated by the #MeToo movement—believe us, you didn’t want their career advice anyway. In male-dominated careers especially, peer mentors can be a great a sounding board. In Every Other Thursday: Stories and Strategies from Successful Women Scientists, writer Ellen Daniell describes how seven female scientists met regularly for 25 years to talk about career changes and barriers. You don’t have to make such a long-term commitment, but it never hurts to build your network and remind yourself that you’re not alone. Your mentor doesn’t have to be one person or someone you meet with all the time. Briefer “mentoring moments” are a good way to get feedback if you work in an environment with limited one-on-one opportunities. During annual reviews, at networking events, after presentations, or even after job interviews, don’t be afraid to ask a manager how you can improve. Be open to constructive criticism, and ask thoughtful follow-up questions about how that person got where they are. Beth Castle is the managing editor at InHerSight. Based in Durham, she writes about women in the workforce as well as Southern travel, tourism, arts and culture, and food.